Whetstone Butte landscape. Photo by Kathleen Pyle. 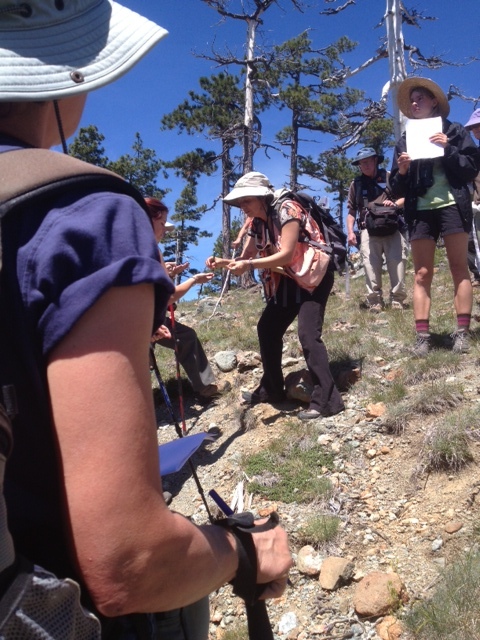 Botanizing Whetstone Butte with botanist Cecile Shohet was my first class at the Siskiyou Field Institute. She was assisted by special guest field guide, geologist John Roth, who held the back end of our hefty class of 25 along the single trails. Botanist Cecile Shohet. Photo by Christine Yee. Though we had two expert leaders, I was also impressed by how much knowledge there was within the class. Among us, there seemed to be many people with much information to share – professional geologists, environmental studies students, bird lovers, and veterans of SFI. My background is in herbal medicine, and I was eager to explore the landscape from the perspective of a botanist and geologist. Herbalists don’t tend to focus much on serpentine plants because of the toxicity of the soil. While serpentine plants may not make good medicine for people, they are incredibly unique in their own right; they have found a way to thrive in an environment that is unfertile and has high concentrations of heavy metals. Some species we saw, like Ceanothus spp., actually improve the soil by making nitrogen more available. Other species evolved with lots of hair on their leaves and stems to retain more moisture. 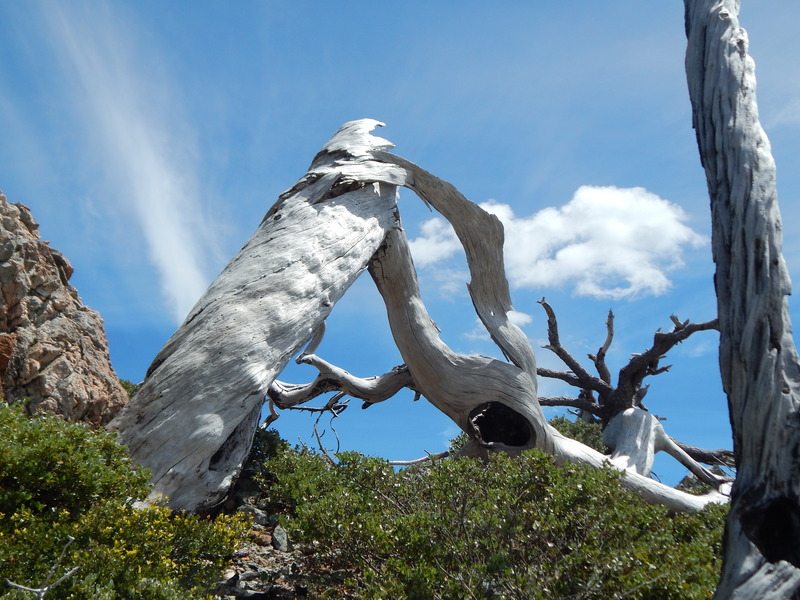 It was also impressed upon me that the Klamath Siskiyou bioregion is unique this area never fully glaciated. Consequently, there are paleo-ancient plant species that you can’t find in many other places, like Solider’s Oak (Quercus sadleriana). 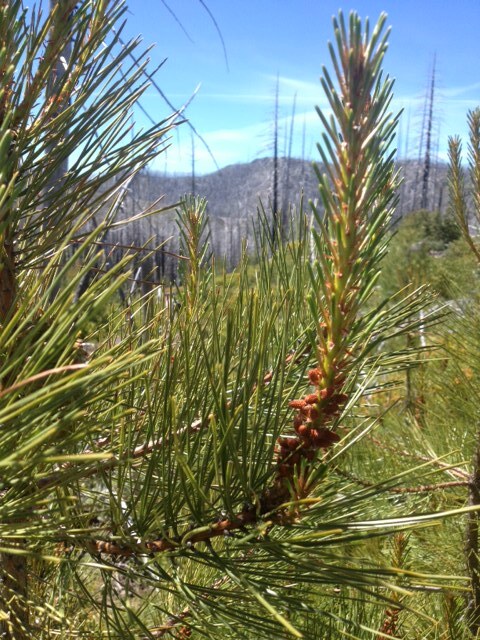 Because of the Biscuit Fire in 2002, we were also able to see some unique species that sprouted after the fire, like the Knobcone Pine (Pinus attenuata), which spreads its seeds only through fire. Knobcone pine. Photo by Christine Yee. The class was amazing, though the most memorable part of the class for me was being at SFI for the first time and staying on the grounds at Deer Creek. The facilities are really comfortable, the land is so beautiful and well maintained, and the water in the creek is so clear. I can’t wait to take another class and another opportunity to jump in creek! Stream orchids at Deer Creek. Photo by Christine Yee. As an herbalist and teacher of field botany residing in southwest Oregon I have spent many hundreds of hours exploring this region, though it was not until I attended Cecile’s lecture on serpentine ecosystems and the hike on Whetstone butte that I fully appreciated the uniqueness and diversity of these areas. 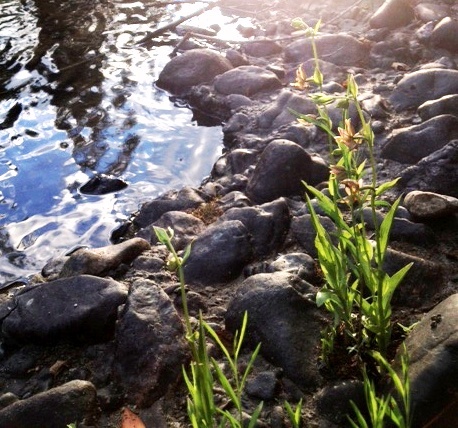 Between expanding my knowledge of serpentine geology and the selective pressures that gave rise to the multitude of endemic plant species in serpentine regions, I find myself with a deeper appreciation of these unique ecosystems. Experiencing the diversity of all uniquely adapted serpentine plants against the starkly beautiful backdrop of whetstone butte was powerful! Of particular note for me, was seeing the transition zone part way up the mountain where the serpentine soil began, as well as seeing a the Siskiyou Fritillaria and a rare Saxifage family plant nestled in the rocks on the mountain top. The Siskiyou Field Institute deserves special acknowledgement for their wonderful array of educational offerings in the areas of botany, geology, natural history, and conservation. This entry was posted in Uncategorized and tagged 8 Dollar Mountain flora, Biscuit Fire, botany, Ceanothus species, Deer Creek, herbalist, Klamath Siskiyou bioregion, serpentine, Siskiyou Field Institute, Whetstone Butte. Bookmark the permalink.